Are older adults taking over college campuses? Well, they might not be the majority, but statistics show that 8.1 million college and university students are age 25 and older. Also, the National Center for Education Statistics found almost one in 10 undergraduate students in 2013 were age 40 and older. It’s no secret that more adults are returning to school, but why? What are the implications for an adult thinking about going back to get their degree? Let’s get the answers to these questions and more. 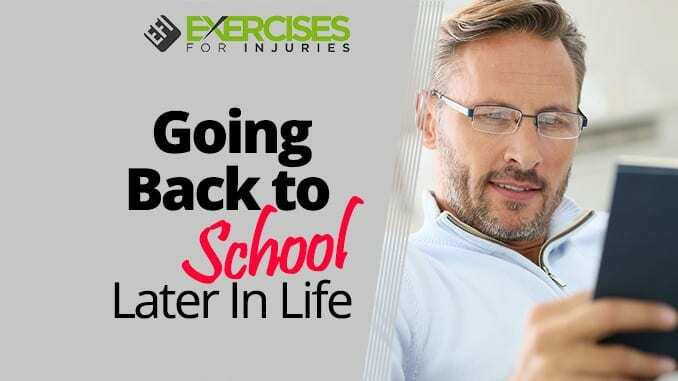 Later in the article, you’ll learn about and coping strategies for adults, plus how to maximize your brain health for going back to school. It appears that many adults these days are retiring much sooner than planned. In fact, up to 60 percent of adults have either chosen or been forced to take early retirement. It could be that your company has downsized, or you had to retire early for health reasons. Also, many older adults become caregivers for a sick spouse or parent. If you’ve retired early, you might eventually decide you want to go back to school. A variety of factors can motivate this desire to further your education. It’s not uncommon for people to start college and not finish. Maybe college wasn’t right for you at the time, or you began raising a family. Many older adults find themselves longing to return and finish what they started. Perhaps you need closure, or maybe it’s time to embark on a new career. For some, retirement means they’re done working and plan to kick back and relax. For others, it means beginning a new work adventure. In fact, 72 percent of retirees age 50 and older want to keep working. Work doesn’t mean you have to suffer unnecessarily. In fact, it might be the best thing for you. Maybe you’ve always dreamed of a different career but didn’t have the time, resources or guts to do it ― until now. Some careers have a natural life cycle that ends, such as for those in the military. Alternatively, you might feel your old job doesn’t appeal to you anymore. Many times, those who think about a new career path require a bit of a break before working again. Further study could be the perfect activity during this time, and it comes with a number of benefits along the way. No matter what your incentive, getting a college or university diploma improves your marketability. Even if you’re seeking to move up in your current job, adding a degree will improve your odds of success. Also, if you’re ending one career and starting another, adding a new line to your resume opens more windows of opportunity. Not to be pessimistic but upgrading your knowledge base might even be necessary to keep your current job. Remember, even if you have years of experience, some companies trust those with associate, bachelor’s or master’s degrees more. You might not think this is fair, but to get the interview they may require a degree. In any case, the more marketable you are, the better your chances of securing your financial future. Even if you are considering starting your own business or freelance project, the knowledge you gain from studying makes a difference. You’ll not only feel more confident, but a formal degree also instills confidence in potential clients and customers. Plus, updating your skills through education helps you get up to speed with the advancing technology in any field. Some professionals, such as medical doctors, take an extended leave of absence for a variety of reasons. It could be for financial, health or personal reasons. Obviously, the field of medicine changes rapidly in a short time. For these reasons, programs exist that help doctors and other professionals update their skills and knowledge. This means they can reenter the workforce in the same career they put on hold years ago. 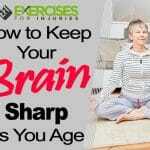 How Can I Maximize My Brain Health? If you’ve decided to go back to school, you might be nervous if you’ll be able to handle the study load. The reality is that thousands of older adults complete higher education every year. Still, there’s no doubt that studying at an older age comes with special challenges. You can get more details about optimal brain health from our post about Must Do Activities to Keep Your Brain Healthy. Although it might be ideal to attend classes on campus, many older adults already have a busy lifestyle. You might be working or have obligations at home. The good news is that online study has become very commonplace, and most colleges and universities offer online curriculums. Don’t worry as the degree you get from online study is equivalent to what you get from attending classes in person. What’s more, online tuition is usually less expensive compared to when you attend brick-and-mortar classes. If at all possible, go back to school where you can interact with people face-to-face. The human contact with professors and other students is much more stimulating. Real-life encounters maintain a positive mood and protect brain health as well. Even though you might not have your degree yet, what you learned in life counts, especially on the job. This means if you have work or military experience, you may be able to get college credit for it. In fact, a large percentage of institutions take this into account for older students looking to enroll. The benefits of this kind of prior learning credit go beyond skipping a few classes. One study looked at more than 62,000 academic records of adult students from geographically diverse areas. The results revealed that adults who take advantage of prior learning assessments (PLAs) are three times as likely to earn a bachelor’s degree compared to those who don’t use PLA. The study concludes that giving you credit for life experience is a terrific launching pad for going on to complete your studies. One of the biggest fears among older adults is how they’ll fit in with a bunch of younger students. Undoubtedly, there are prejudices, but they run both ways. Remember, you have experience on your side. Therefore, don’t think you are above or below anyone. Instead, consider other students as your peers no matter what their age. Also, treat your instructors with the respect they deserve, but you don’t have to be afraid of anyone. 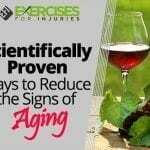 Even though you might feel your age puts you at a disadvantage, you also have many things in your favor. For instance, you’re not going to be worried about fraternity or sorority parties or campus social status. The distractions that face a young adult are behind you. In fact, in many cases, older adults are among the best students in the class. This is because they take their education seriously, and they know they don’t have time or money to waste. It’s never too late to learn. If you have the desire or need for further education, go for it. There are countless success stories out there about people who have reinvented their careers. Many have been able to realize their lifelong dreams ― even at a later stage in life. Anything is possible if you set your mind to it. If you want to trim down your body, get younger, increase your metabolism and energy and heal your pain, then check out the Best Foods That Rapidly Slim & Heal in 7 Days program.